Missed it in theaters, but have heard great things about Drew Barrymore's directorial debut. Ellen Page is always solid and is has a great supporting cast that includes Daniel Stern, Marcia Gay Harden, Zoe Bell, and Kristen Wiig. Wim Wender's 1984 drifter drama gets the Criterion treatment. A 46-page illustrated booklet - containing Nick Roddick's essay On the Road Again; interviews with Sam Shepard, Nastassja Kinski, Harry Dean Stanton, and Dean Stockwell; excerpts from the preface to "Written in the West", a collection of photographs which Wim Wenders took in 1983 while location-scouting for Paris, Texas; and technical information about the Blu-ray. 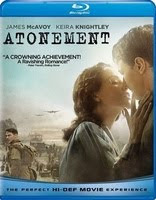 Romantic, engaging, and heartbreaking, this is a fantastic movie that I can't wait to own. While not as faithful as the Colin Firth mini-series, Joe Wright's film plays like a greatest hits version of Austen's novel and is visually gorgeous. Its dreamlike quality is perfect for HD. Whip It! 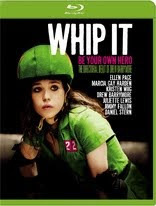 Such a fun movie, Ellen Page was great as Babe Ruthless. The whole cast was fun.